I've fallen on some tough times and need to sell some of my collection. Prices include shipping, US buyers only. Send me a PM if interested. All volumes come with obis (aka "J-cards") and all but Vol. 7 have their "proof of purchase" hexagonal stickers. 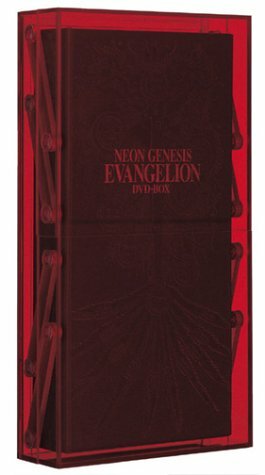 Volume 7 has the rarely-seen "Genesis Version" of The End of Evangelion! Contains episodes 1-20. All volumes come with J-cards and POP stickers. NOTE: Since the ADV "Director's Cut" DVDs use the pre-Renewal Japanese masters of 21'-24' and 25-26, they do provide a reasonable substitute for the missing 2 volumes. 2-disc set, comes with J-Card. Disc one has Evangelion eath(True)² and the original theatrical version of Evangelion:Rebirth (and not the "Re-Air" version from Manga Entertainment's R1 DVD). Disc two has the regular version of The End of Evangelion. Has booklet and 1st-press 5-frame filmstrip. Outer chipboard slipcover of digipak has some dents, but the discs are unaffected. Disc 2 includes the full-length "Explanation of Evangelion 1.01" bonus feature, which is found nowhere else! Last edited by svenge on Thu Apr 25, 2013 10:18 pm, edited 5 times in total. Bagheera wrote: What are these? LDs? KIBA-# are DVDs, LDs are named KILA-###. Sorry, I should've made that more clear. These are original pre-Renewal DVDs from 1997-1999. Editing original post to clarify. If I'd offer my first press 2.22 Japanese Blu-ray for $50 (+ priority mail shipping, so around $65 altogether), would anybody be interested? I really need the money & want to save up for a 4-film boxset like I originally planned. I asked about this back in December, but received no replies. Please PM me if you're interested! I'm used to dealing with U.S. buyers, but something could be worked out with International Shipping. Personally speaking, I prefer dealing with direct transactions via Paypal instead of Ebay/Ebid--especially when I know the items will go to a fellow Eva fan. Hi! 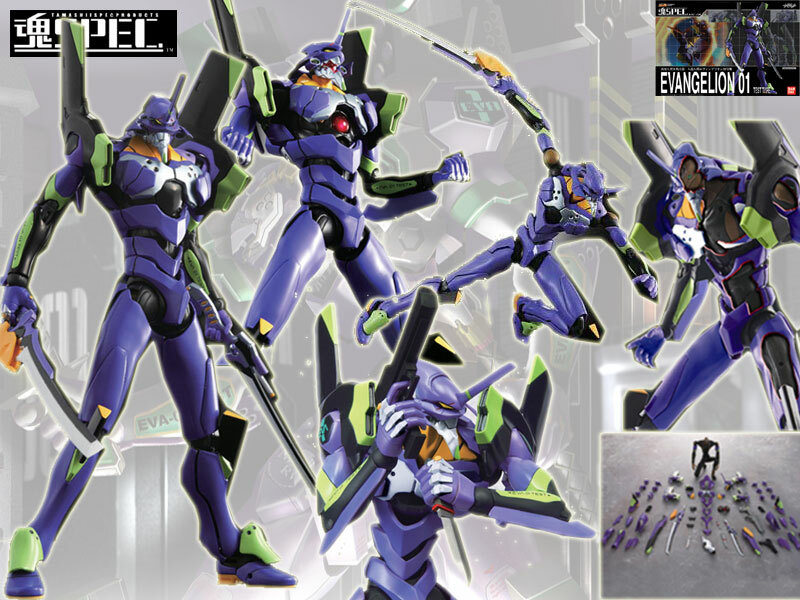 I'm selling my Soul of Chogokin SPEC Eva 01. I'm selling one of my SOC soul of chogokin spec toys and I thought some of you might be interested. It's a really good price, especially if you are states side. Soul of chogokin and soul spec robot lover. In the interests of further organizing this forum, from now on all posts relating to the commercial side of eva merchandise should go here. Advertising a listing on eBay, Amazon, etc. It must be understood that the forum is merely facilitating communications and is in no way responsible for insuring either end of the transaction or either party's satisfaction. That's strictly between buyers and sellers, so proceed at your own risk. I guess I will be the first to kick-start this thread. I will be selling a Medicom Real Action Heroes (RAH) Eva Unit 02. When this product first came out, I wasted no time in preordering myself the figure. However, it seems that ordering quickly has turned against me. A friend of mine recently gave me the figure as a present and now I am stuck with two figures (or at least soon to be. The 2nd is currently on its way to my house via USPS). With that, I will be selling the 2nd figure to anyone who may be interested. My asking price is $200 even. I live in the New York City area and would be willing to meet with anyone relatively nearby (Tri-state area to be exact). If not nearby, I am willing to ship free of charge to the buyer. I just want this out of my house asap and into the hands of a worthy owner. Please let me know if interested. PayPal or cash-on-hand accepted. Bit of an odd request, but does anyone have a good condition box for this Misato figure that they would be willing to part with relatively cheaply? The box for mine didn't survive the local postal service, and I'd like to have one for display/storage. Last edited by BlueBasilisk on Tue Jul 09, 2013 12:55 pm, edited 1 time in total. It would help if you mention who the figure's manufacturer is and scale. I myself don't have such a box. My asking price would be about $50 (+ priority mail shipping, so around $65 altogether), but I'd be more than happy to go with a Best Offer, instead. And I'm still fine with figuring out International Shipping. Just fyi, I use Paypal. PM me if interested! I am new to Evangelion, but I really enjoyed the show and movies! I've made some watercolor paintings and just wanted to share them with people here. Hey all, selling my ADV Evangelion Perfect Collection as well as the 2002 Manga Video movies for both Death & Rebirth and End of Evangelion. The Perfect Collection is in good condition but I have definitely viewed it a decent number of times (it was also used to sometimes introduce friends to anime other than the Pokemon that their kids were watching at the time). The movies, however, are in pristine condition and have never been lent out. Each of them has only been viewed one or two times. Both items ship from Austin, TX. Sailor Star Dust wrote: If I'd offer my first press 2.22 Japanese Blu-ray for $50 (+ priority mail shipping, so around $65 altogether), would anybody be interested? I really need the money & want to save up for a 4-film boxset like I originally planned. 2 offers for the Japanese 2.22 Bluray so I'll be going with whoever PMs and Paypals the highest offer. As a reminder, the Japanese Bluray does NOT come with English subtitles but there are programs to add them. Since I'll be vacation next week, the earliest I can Priority Mail the 2.22 Bluray is the 27th. Anything else, let's communicate by PMs so not to clutter this thread. Thanks! Moved to the correct thread now that this exists. The eBay thread should be for just things you FIND on eBay, not for forum members selling their own stuff. ZapX wrote: I have the Platinum Complete thinpak and the Death/Rebirth & EoE box set I may be willing to part with if anyone wants them... Anyone care to make an offer for one or both? Both are in great condition with boxes. Shoot me a PM if interested. It's a hybrid of Eva 1.0 with episodes 7 through EoE. Mainly a fighting game with Quick Time Events in the battles. Lots of elements were taken from the NGE2 video game but the graphics and music are prettier. I'm selling my two SPEC figures, XS-08 and XS-09 (02 and 00). Both are perfect condition, basically new. Boxes have minor edge wear. I'm looking for around $200 for both on ebay, but definitely shoot me a PM with any offers.